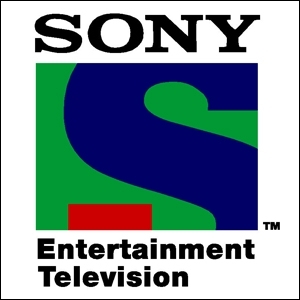 Post KBC, Sony shifts 'Humsafars' to 8.30 pm slot. The Balaji Telefilms show will occupy the 10.30 pm time slot. 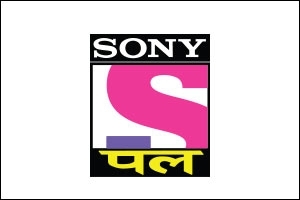 Sony Entertainment Television, the flagship GEC from Multi Screen Media, is set to premiere Balaji Telefilm's latest venture 'Itna Karo Na Mujhe Pyaar' today. The show will occupy the 10.30 pm slot on the channel, as Humsafars has been shifted to the 8.30 pm slot. Humsafars, in turn, replaces Kaun Banega Crorepati that recently concluded its eighth edition. 'Itna Karo Na Mujhe Pyaar' will portray a relationship between a man and his wife that grows stronger when they become parents. Exploring the intricacies of human relationships, Sony is taking yet another "modern" and "mature" take on love and marriage. Featuring Ronit Roy and Pallavi Kulkarni Nerurkar in lead roles, the show aims at reinstilling faith in the institution of marriage. Ajay Bhalwankar, chief creative director, Sony Entertainment Television says, "It is always a pleasure to work with Balaji Telefilms as their concepts are unique, innovative and extremely relatable. Itna Karo Na Mujhe Pyar is bound to appeal to all our viewers with its engaging storyline and creative content. We are sure the audience will appreciate this unique take on love. Sony has been a pioneer in presenting mature love stories like Bade Acche Lagte Hain which have been immensely appreciated by the audience and Itna Karo Na Mujhe Pyar is another such show." Ekta Kapoor, producer, Balaji Telefilms comments, "We at Balaji are really excited about our latest offering. Through this show we are attempting to bring alive a unique love story between an estranged husband and wife. I am extremely delighted to extend our relationship with Sony Entertainment Television and I am sure Itna Karo Na Muhje Pyar will create magic on Indian television." Over a period of time, staying away from each other has made Neil an indifferent man, whereas Ragini is still trying to run away from the ghosts of her past relationship. They are constantly reminded of their broken marriage because of the children who are a sign of their past love for each other. However, fate has different plans sketched out for them and their children become the pivotal reason for them to start a new chapter in life. The story is now taken forward by the children, who attempt to bring together their separated parents and rediscover love after 15 years. Claiming it to be a "high-investment" property, Sony is going all out to promote its new show. With the focussed communication, "Talaq Pati Patni Ka Hota Hai...Maa Baap Ka Nahin", the channel is running the show promos across 28+ channels on home, cross and outside network. The genres included are - news, music, movies, kids and regionals. On radio, it has run a 13 day campaign across top stations in Mumbai, Delhi, Maharashtra and Gujarat. The radio stations include Radio City, Radio Mirchi, Big FM, Red FM and FEVER 104 FM. There are debates, discussions happening on these channels as the RJ's are mentioning about the TV show's concept as well. On print, front page advertisement will be seen across major publications in target markets on the day of the launch. The channel is conducting contests online and encouraging participation. It is asking viewers to tweet using #MaaJitnaPyaar and #PapaJitnaPyaar to win prizes. It is pertinent to note that Sony's programming has shuffled since KBC 8 got over. It has launched 'Tum Aise Hi Rehna' at the 9 pm as 'Hum Hain Na' occupies the 9.30 pm slot. 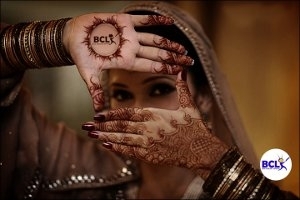 The channel is also gearing to launch Balaji's first cricket based-reality show, Box Cricket League in December.